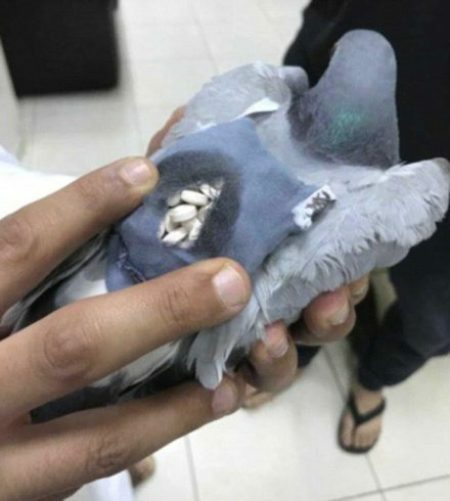 Kuwait authorities disclosed that it recently caught a bird with a backpack full of ecstasy tablets strapped to its back. 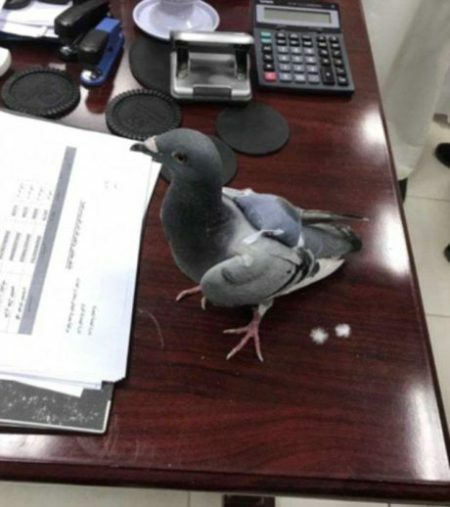 It was gathered that the bird, a Pigeon, was sent by traffickers. The authorities stated that the bird had began its smuggling route in Iraq and was tracked by authorities on its way to Kuwait. The bird was caught and once the backpack was opened up, close to 200 small white pills can be seen spilling out.